Once a user has typed in thir user name or scanned their ID Tag, press the “Enter” button. Then enter the password. 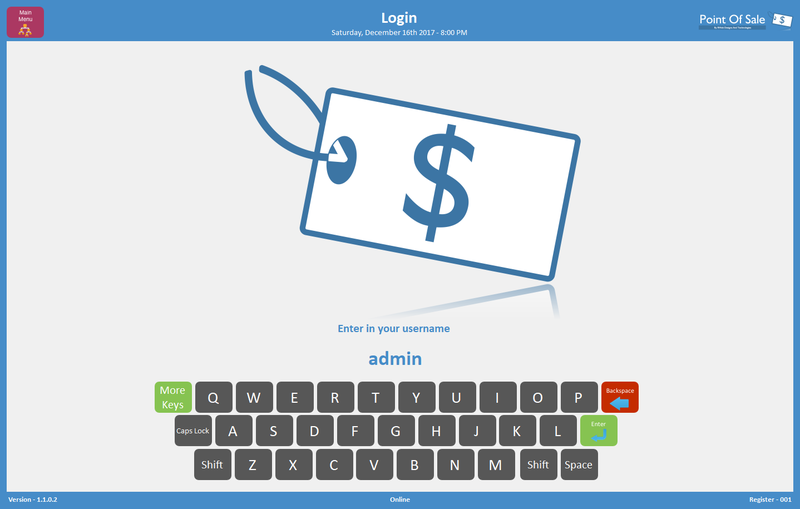 Enter a password, by use of the onscreen keyboard, and then press “Enter”. Upon entering the user and password, the credentials will now be authenticated by the register. If they are incorrect a user will asked to reenter their details again. 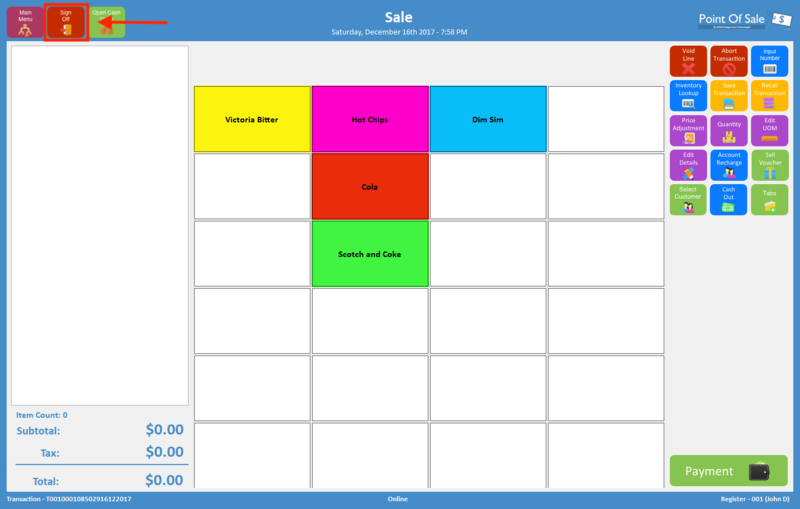 If the details are correct then a user will be taken straight to the “Sale” module, if the register has already been opened. Note that is “Fast Pass Login” is enabled on a register, a user will not need to enter a password, only their username. It is important to “Log Out” when ever the the terminal is left unattended. The primary reason for this is because the cash draw cannot be opened by the POS when the terminal is logged out, except if the cash draw has a key. To log out press the “Sign Off” button. This button can be accessed either through the “Sale”, “Return”, “GL Payment (Out)” or “GL Payment (In)” modules. The system will automatically lock the terminal after a user defined time, if no user interaction has been undertaken.